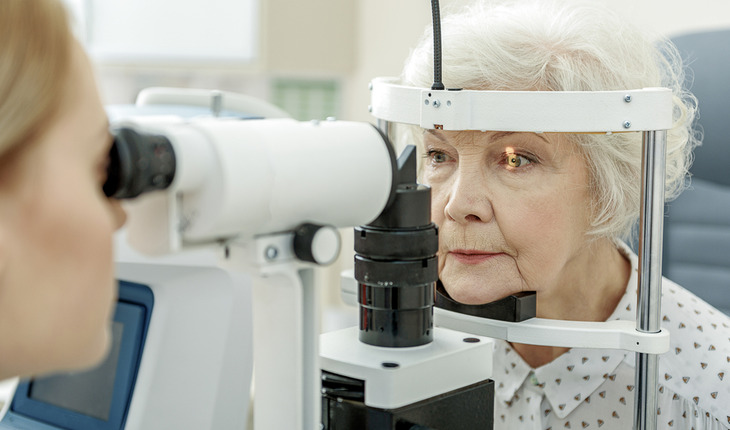 The SeniorHealth experts say that a diet rich in vegetables, especially dark leafy veggies like spinach, kale and collard greens, can help eyes stay disease-free. Additionally, fresh fruits are also helpful. Finally, there are eye health benefits from eating fish high in omega-3 fatty acids, such as salmon, tuna, and halibut. A diet that helps your vision will also help your weight, and what you weigh is linked to diseases of the eye. The SeniorHealth experts say that being overweight increases your risk of developing diabetes. That in turn ups the chances of developing diabetic retinopathy or glaucoma, conditions that can eventually lead to vision loss. Sunglasses are more than just a fashion accessory – they’re a crucial part of keeping your eyes healthy. The SeniorHealth experts say that the best sunglasses block out 99 to 100 percent of both UV-A and UV-B radiation. Sun exposure is associated with developing cataract and age-related macular degeneration. Tobacco is bad for your eyes and the rest of your body. Smoking increases the risk of developing age-related eye diseases such as macular degeneration and cataract, and can damage the optic nerve. For free help to quit smoking, visit Smokefree.gov or call 1-800-QUIT NOW (1-800-784-8669). For more information from SeniorHealth on other health issues, click here.